Live Your Dream to Surf! Let surfing enhance your life! See what a difference professional surf instruction and the latest technology can make. Experience the fastest growing sport in the world while enjoying the beauty of the Monterey Bay Marine Sanctuary. Make the beach at Manresa Uplands State Park Campground your home for a week of surfing and camping. Create your own Cabo Surf Camp! Contact Club Ed and design the perfect surf vacation for yourself, friends and family! and most of all just to have FUN!!! If you want to learn to surf, or if you are looking for expert instruction from a person who has been surfing for years, definitely give Ed a call. -Tanya S.
Santa Cruz is the best place to learn to surf on the planet, with the most consistent waves and widest variety of surf breaks in the Northern Hemisphere. Our team of Master Surfing Instructors would love to help you live your dream to surf! We’re dedicated to teaching surfing in the most fun, successful and safest environment available. We have a broad range of exciting surfing programs from first-time daily lessons for individuals or groups, to Surf Camps that give all levels of surfers a chance to camp out above the beach for a week and immerse themselves in the surfing lifestyle. We also have special International Surf Camps located in Mexico, Costa Rica, Ecuador, Peru, Chile, Fiji, Samoa, Indonesia and where ever else you can dream up! We hope you have the time of your life surfing with us. If you have any questions, please contact us. 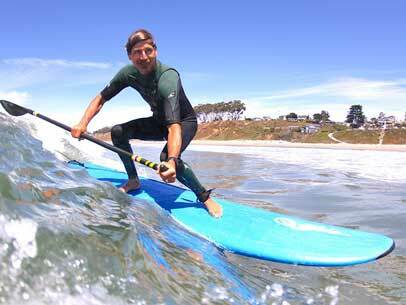 Club Ed Surf School and Camps in Santa Cruz has a Lessons and Rental Trailer located on Cowell Beach. They are voted as the Best Surf School in Santa Cruz and are the leader in introducing beginning and Intermediate surfers to surfing in Santa Cruz. 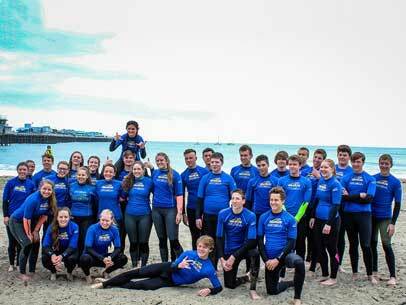 Club Ed trains advanced and expert surfers too! With professional Water Safety background since the early 80′s, Ed Guzman’s Club Ed Surf School has successfully taught thousands of people to surf. Great conditions for learning and equipment designed by Ed himself to make learning easier, expert Instructors that care about your experience and progress. 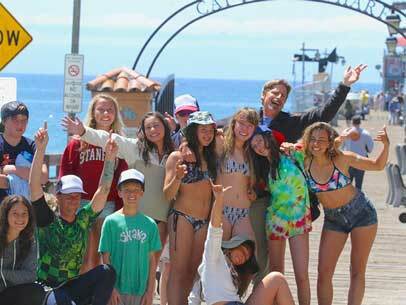 Club Ed Surf School teaches Surf lessons daily year round. We also teach Stand Up Paddling at all levels.